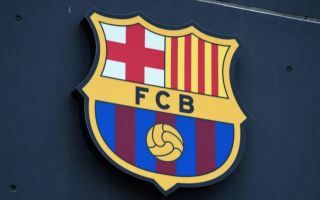 Brazilian defender Marlon has completed a move to Italy with Sassuolo from Barcelona this Thursday, as the European transfer deadline draws ever closer. Marlon joined the Spanish giants permanently in 2017 after a two-year loan spell with the club’s B team but went on to make just 2 senior level appearances for the club. The 22-year-old was shipped off to France in Ligue 1 with Nice last season, where he managed to play 23 times before returning to the Camp Nou this summer. The young centre-half has 12 caps at U-20 level with Brazil and despite struggling to break into Ernesto Valverde’s first-team plans at club level is still widely considered to be a player with great potential. However, according to Goal, the Blaugrana have already decided to allow Marlon to move onto pastures new in search of regular football after he completed a move to Sassuolo in Serie A for €12 million on Thursday. Barcelona has cleverly inserted a buy-back clause into the deal which could allow them to bring the young Brazilian back to Spain in the future, but for the time being, he will be continuing his development in Italy. Marlon becomes the 3rd defender to leave Barcelona this summer, adding to the departures of Yerry Mina and Lucas Digne, who both moved to the Premier League with Everton. The Spanish champions have managed to bring in some reinforcements this summer too though, including Malcolm from Bordeaux and Arturo Vidal from Bayern Munich and supporters will hope that the team can still manage to retain their league crown come May as well as compete for the Champions League.